Overture Books and Film: Announcing The Jeanne Crain Blogathon! 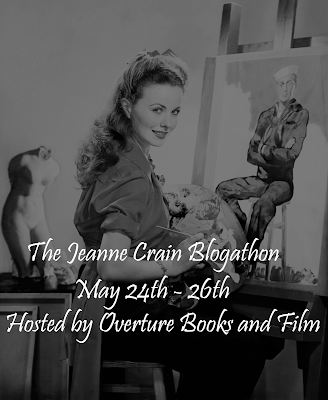 With the demise of 20th Century Fox, I decided I wanted to do a blogathon focused on one of the studio's brightest stars. 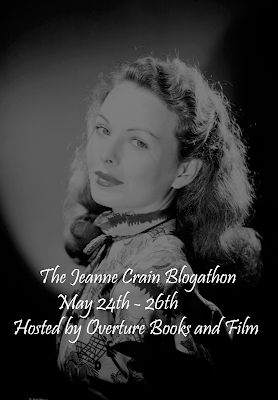 I decided to choose Jeanne Crain. She would have been turning 94 on May 25th and I also have been watching State Fair a lot lately. Plus, I am only part of one blogathon in May, so I decided to host my second one! I am actually writing about a film of hers for the William Holden blogathon in April and I thought she deserved a little love too. 1. I am allowing one duplicate of each film. She has a pretty nice filmography and there's lots of films to choose from. I don't feel like we will have any duplicates anyway. 2. You can sign up by leaving a comment here or contacting me on twitter @gloriadehavens. Send me your blog name and a link to your blog as well. 3. 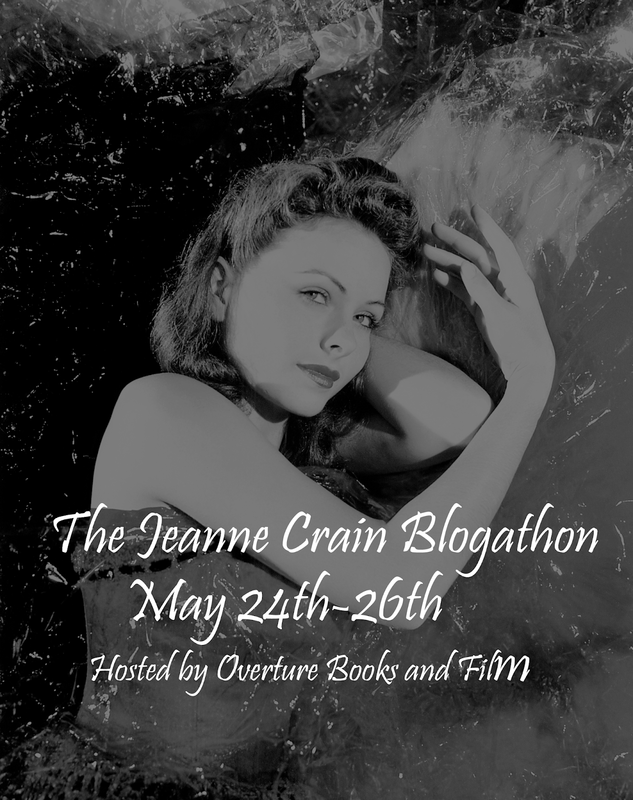 Any topic about Jeanne is up for grabs. Just be respectful! 4. Once your topic gets approved please grab one of the banners below. 5. And finally, have fun! If you have never seen any of her films, now is a good time to start. Can I do Vicki for the Stop Button? Of course! I will get you all signed up! 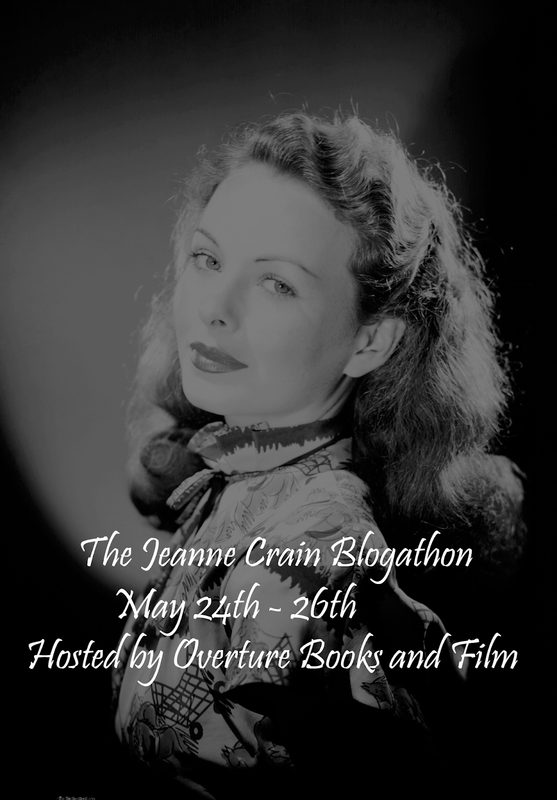 I love Jeanne Crain. 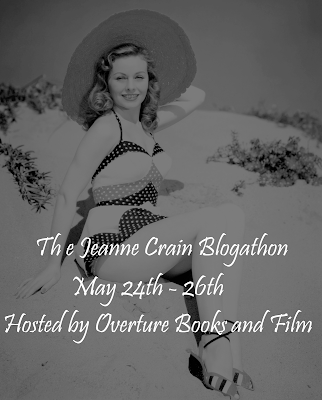 I'm so glad that she is finally being honored with a blogathon. May I take "Pinky" ( 1949 ) and "Dangerous Crossing" ( 1953 P please? By the way, I announced another blogathon the other night too, and I'd love to invite you to join in. Here is the link. Of course you can! And I will look into your new blogathon! Of course! And thank you so much for joining! I got you added to the list and thanks for signing up! Hi! I love Jeanne. Could I write about her paintings and her lifelong hobby?